THE property market in Penang could be heading upwards. According to Knight Frank Penang executive director Tay Tam, the first phase of the Penang Transport Master Plan (PTMP), which comprises the Pan Island Link highway, the Bayan Lepas light rail transit system and several major roads, is set to proceed. He expects completion of the PTMP will boost connectivity in Penang, which will, in turn, be favourable for the property market. “The industrial and office property markets in Penang are poised to continue their favourable performance. In contrast, the retail market is expected to be more competitive this year due to the entry of new space such as IKEA Batu Kawan,” Tam said. 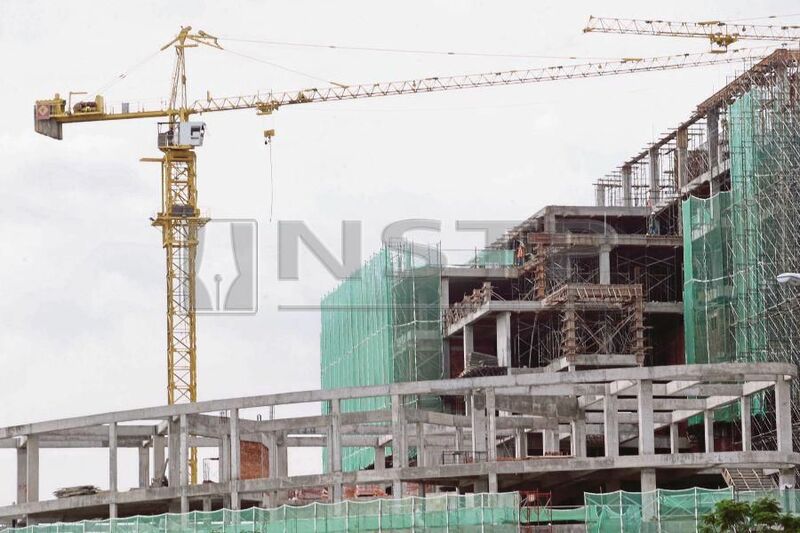 The IKEA Batu Kawan building is scheduled to complete early this year. Coming up by the end of next year is the expansion of Sunway Carnival mall and a year later, Gem Mall. Aside from retail offerings, Penang island will see new office towers being completed, such as Sunshine Tower andPenang Times Square Phase 3 and 4. Tam anticipates that the residential market will likely show some signs of improvement moving forward, with the landed housing market expected to outperform other segments. Choy said landed houses with reasonable prices of RM400,000 to RM500,000 are expected to fare well among buyers. The property market in Kota Kinabalu, Sabah, meanwhile, remained highly competitive. Alexel Chan, executive director at Knight Frank Kota Kinabalu, said during the second half of last year, there were fewer launches of residential properties as developers sought to review and reposition their products amid a highly competitive market. “With the residential sector being plagued by rising supply, continued growth in Sabah’s tourism and hospitality sector, coupled with the government’s commitment to delivering the Pan Borneo Highway project, are bright spots for Kota Kinabalu’s property market this year,” he said. WILL ALL MARKET SEGMENTS DO BETTER? Knight Frank’s Real Estate Highlights 2nd Half of 2018, launched recently, reports some improvement in the residential property market. Knight Frank Malaysia associate director of residential sales and leasing, Kelvin Yip, said despite the challenging market environment, market enquiries and activities in the residential property market increased in the second half of last year. Post-14th General Election, confidence levels had improved in the residential sector, he said. This year, Knight Frank expects to see more motivated sellers and discerning buyers to be present in the residential market. “Various policies announced in the 2019 Budget designed to aid first-time house buyers are also expected to kick-start the housing market this year and beyond. Malaysia’s residential properties will continue to be attractive in the eyes of foreign buyers as a result of our liberal policies and reasonable valuations, coupled with no extra stamp duties,” said Yip. The report reveals that industrial properties are moving towards sizeable scale and come with higher specifications. Good examples will be Area Logistics @ Ampang at Ulu Kelang Free Trade Zone (FTZ) and Century Logistics’ headquarters in Bandar Bukit Raja, Klang. Other incoming supplies include a warehouse for Nippon Express in Shah Alam and Galazy Logistics Hub in Kuala Selangor. “Manufacturing and logistics operators seek to centralise their operations and improve their business capacities,” said Knight Frank. He said moving forward, the company expects to see new large-scale industrial developments taking shape in strategic locations due to robust demand for warehouses. For example, the proposed FTZ in Pulau Indah, unveiled recently by the government, is expected to generate interest from manufacturers and logistics operators. The industrial and office property markets in Penang are poised to continue their favourable performance. In contrast, the retail market is expected to be more competitive this year. Meanwhile, the office market saw no significant change in rental although certain sub-markets experienced a slight decline in occupancy during the second half of 2018. Knight Frank Malaysia executive director of corporate services Teh Young Khean said occupancies in selected sub-office markets this year are expected to be under pressure due to heightened competition from impending and existing office stock while rentals will continue to hold steady as newer buildings tend to command higher rates. “We continue to observe active enquiries and leasing activities in the co-working and IT (information technology)-related segments. Also, an increasing number of older buildings are looking into repositioning and refurbishment to meet current occupier needs,” he said. Knight Frank Malaysia associate director of retail leasing and consultancy Rebecca Phan said as the retail market remains challenging, malls are seen taking proactive measures to create new experiences in order to remain relevant. She said vis-a-vis the implementation of the Goods and Services Tax in 2015, the introduction of Sales and Service Tax had not significantly dampened consumer spending, with the consumer sentiment index remaining at expansionary levels. This serves as a boon for the retail market amid the current challenging environment, added Phan.